A great alternative to the JUUL! 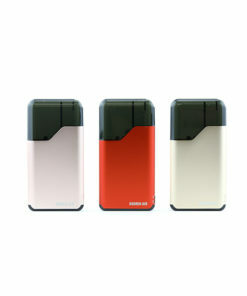 The Suorin Air Kit is an all-in-one, ultra compact device designed for vape enthusiasts constantly on the go. 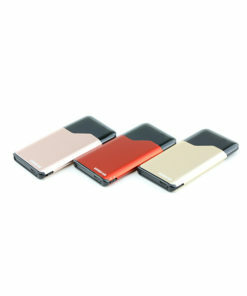 The card-style design is lightweight with an aluminum housing and features no buttons for a clean design. The Suorin Air is draw activated so the thin, sleek chassis has absolutely no buttons but rather a small on/off switch on the side for safety purposes. 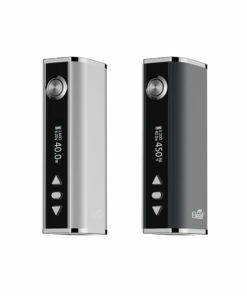 Inside the Suorin Air is a built-in 400mAh rechargeable battery that allows this device to go up to 16W. This highly functional battery is charged through the utilization of a Micro-USB port next to a battery life indicator located on the bottom of this device. The battery life indicator will glow red when the battery life is low and then turn blue when the device is fully charged. The Suorin Air is perfect for anyone looking for a pocket vape: it’s ideal for a stealth vape, or a backup piece, or just a sleek and stylish concealable vaping pod system!